Recently we were blessed and challenged by a friend in ministry who told us his story. Over the years he has paid significant costs and has experienced deep personal pain, but–to date–he has also borne an abundance of fruit. My hope in sharing his story is that you will be challenged in living out your faith as I have been through knowing him and hearing his story. More often than not the things most valuable in life cost us the most! Over the past 17 years he has been thrown in jail 15 times in just as many countries, mostly in places where the Gospel is not permitted. Every arrest was over trumped-up charges, and they were never proven. Even so, while in jail, he was beaten nearly to the point of death, electrocuted, punctured, whipped, drilled and stuck with metal rods, sexually assaulted, and starved–all in the effort of forcing him to denounce his Lord and Savior, Jesus Christ. In telling us his story, Okongo was humbled by the truth that he felt he had not done enough for his Lord. The first eight times he was in jail and tortured for his faith he was not affected very much. The last seven times he was deeply affected. He tells of the time when they drilled holes in his legs and placed metal rods though the holes and then hung him upside down by these rods. While hanging there upside down he was beaten, whipped, and screamed at for hours on end. He states that in the moment of his deepest pain he proclaimed responses that he doesn’t fully recall today, but still wonders about. He also says that he came to know God more deeply while experiencing his greatest pain. Because of the intensity of the torture during his last seven times in jail, he began to have doubts–and so did his friends. In fact they counseled him to change his ways because this kind of experience could not possibly be of the Lord. Okongo was greatly discouraged and deeply hurt by what he went through during the last seven paths of torture. He was struggling to find the place of healing in his soul for what was done to him. During this time the Lord was faithful, and prompted him to go back to each of these persecutors and–in person–forgive them for what they did. Okongo understood that the only path to healing is forgiveness. Each of his persecutors had a different response. Some hated him for coming back because they were now faced with his kindness. Others opened the door for more discussion, and Okongo was given the opportunity to share the Gospel. At LIFE International we are truly blessed to be a friend of such a faithful partner in the Gospel. 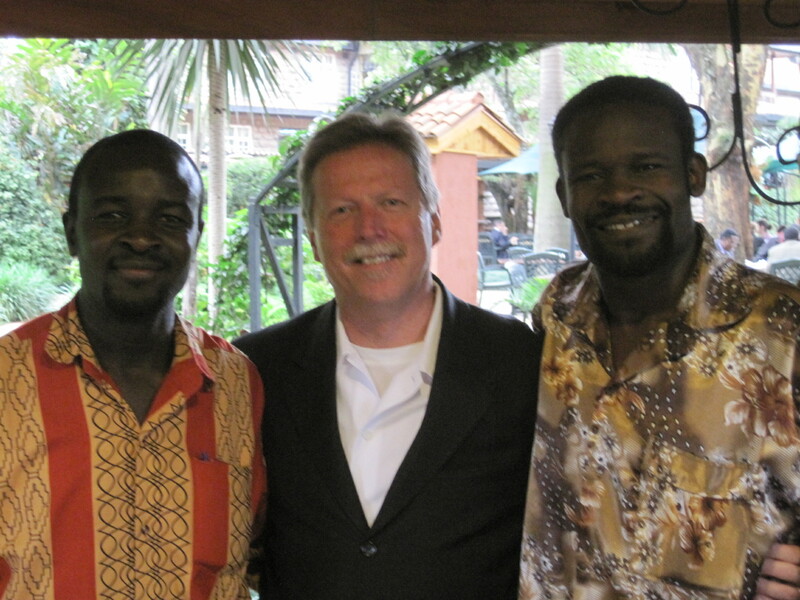 Okongo has invited us to go with him and bring the life message to many of these places where churches are now growing. He feels they are in desperate need of the life message. Please pray with us as we go!